Advansta is building a portfolio of products that interrogate gene expression and protein activity in cellular systems. Their approach is to develop products that are robust and that measure molecular events. 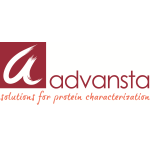 Advansta’s products are used by molecular biologists, proteomics researchers and other research scientists to perform test-assays and research in many fields from medical, biotechnology and marine biology to food and agriculture technology as well as forensic and environmental sciences, where life scientists have come to depend upon the outstanding quality and reliability of our reagents. WesternBright Quantum - Large dynamic range allows for detection and analysis of both strong and weak bands on the same blot. Free samples of the these reagents are available upon request. Contact us at tech@cedarlanelabs.com to request yours today!